Well, remember that sauerkraut I started a few months ago? Well, this week we finally determined that it was perfect and canned it into 18 quarts of yumminess. We actually had to move the pickling crock it was fermenting in to the garage from the basement. For about a week after it had first started fermenting, I kept wafting something that smelled like someone forgot to take the garbage out in the kitchen. After determining it was not the garbage, I sniffed around the whole kitchen, convinced that the refrigerator had something smelly in it or even maybe the kitchen sink was leaking. Finally, it dawned on me that MAYBE that 5 gallon crock of fermenting cabbage in the basement might be the cause of the phantom stink. Sure enough it was. Last time I made sauerkraut, we were renting a house that had a separate, closed in room in the basement, which is why it didn't smell. I removed the half gallon jar of water and plate it was sitting on top of to weight down the sauerkraut. After that, I skimmed off the floating sauerkraut on top and transferred the sauerkraut and brine to the pot using a pair of tongs and ladle. 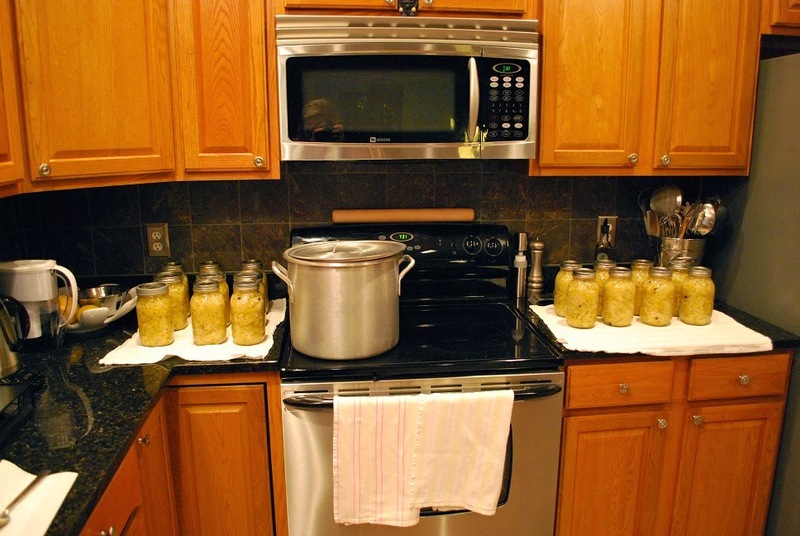 I hot pack my sauerkraut and follow the canning instructions for sauerkraut as outlined in the Ball Blue Book. 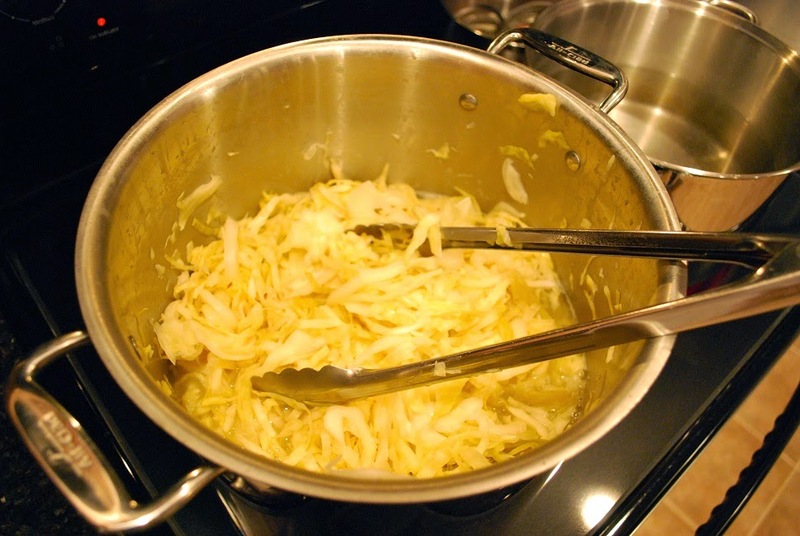 It is important to NOT allow your sauerkraut to come to a boil (heat it just to a simmer, then turn off the heat), as you do not want to kill all those very important probiotic yeast cells that were produced during fermentation. Plus, who wants limpy sauerkraut? 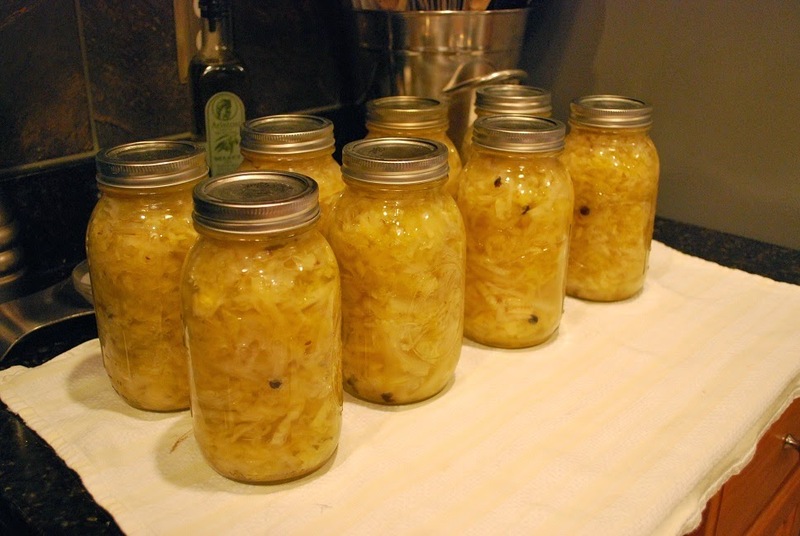 After heating, I pack my sauerkraut into prepared quart jars and fill to the top with the fermentation brine. I always make "extra" brine in case I don't have enough ladled out from the crock (which is almost always the case). According to the Ball Blue Book, 4 1/2 tsp. 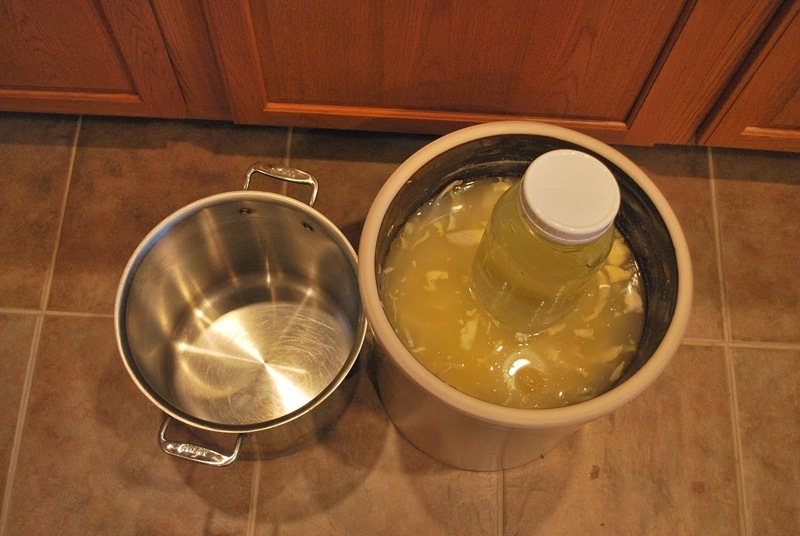 of canning salt per quart of water (heated) can be used for extra canning brine. 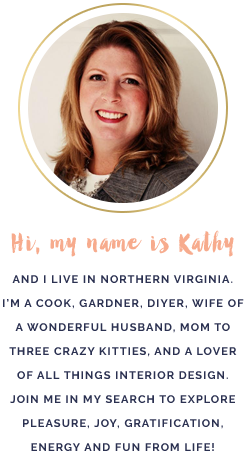 I usually make a double, or even triple batch of extra brine and compromise with half fermented brine and half made brine for each jar. That way, each jar is getting a little of that natural, fermented brine. Each jar gets 1/2 inch of head space and a batch of jars gets 10 minutes of processing in a boiling water bath. I usually have to process 2-3 batches, as my canner will only hold 7-8 quarts at a time. I process on a glass top stove and don't want to chance stacking quart jars in my canner and cracking the glass top (although I do want a new stove....hmmmm). I usually get 16 -18 quarts per batch of sauerkraut in my pickling crock. See the juniper berries? Yummy, yummy, yummy! I can't wait to grill up some bratwursts this summer and put a big ole' pile of home fermented sauerkraut on top!